Stunning entrance doors to create a beautiful first impression for your home. Make a statement with our range of furniture suites which can transform any door into a property feature. Our front and back doors have a traditional and charming appearance with a high security lock manufactured to PAS 24. We have a large range of glass designs and backing glass design to suit your taste. The entrance door to a property is the first impression aesthetically as well as protection from the outside world. 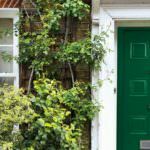 Because of this, your front door must not only look the part, but it must perform well also. Our entrance doors are designed so that you won’t ever have to compromise on form over functionality, with a robust and sturdy profile that is secure, safe as well as aesthetically pleasing. 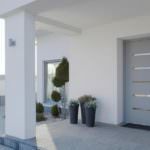 Our entrance doors are customised to your exact needs and requirements, whether you are looking for a more minimal or decorative design to suit a certain property type or style. You can select styles with large areas of glazing or smaller areas of glazing, all completed with a high end and durable finish. Select a neutral colour to blend into the property surroundings or opt for something vibrant and bright that stands out from the crowd. There is a large selection of personalisation options when it comes to the colour, style, glazing and hardware accessories. A front door is more than just an entrance or exit point, it is also the first thing visitors see before they enter a property or building. For this reason, an entrance door should be aesthetically pleasing, incredibly robust and high performance. Take a look around our virtual tour of our London showroom to take a look at the products on offer to preview. If you’d like to visit us in person, simply get in touch via our online contact form. Take a look at our videos featuring our entrance doors. You can get a feel for the look, style and design of the entrance doors we have available. 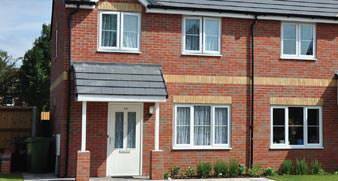 One benefit a high quality entrance door brings to a property is increased thermal efficiency. A well made entrance door using premium grade materials will trap warm air inside the home to conserve energy and reduce the reliance on central heating. In turn, this will reduce carbon emissions, helping contribute to a greener environment. A front door should always provide maximum protection which is why our entrance doors feature Yale multipoint locking mechanisms for complete peace of mind. Our front doors have undergone thorough assessments and quality assurance to make sure that they are up to the task of protecting a home. Each of our entrance doors comes with a range of hardware accessories to choose from for the ultimate finish. Whether you opt for a traditional handle, knockers, letter plates or other finishing touch, we can help. Below you can find our brochures. These include technical information about each of our products for you to download and peruse. Your chosen entrance door can emphasise the character of a property and can impact on the overall aesthetic of a house. As well as this, the functionality that your entrance door provides needs to protect your home, secure it and work well as an entrance and exit point. Your front door needs to be able to withstand the changing seasons. It needs to be able to withstand humid summer days, downpours of English rain and icy or snowy winter conditions. Through each of these seasons it will come up against weather conditions that may make the traditional door warp, crack, bow or discolour. Our entrance doors are intelligently designed to counteract these issues and perform well through a range of weather types. With the choice of flush or panelled entrance doors, you can customise the front of your house to look exactly as you’d imagined. 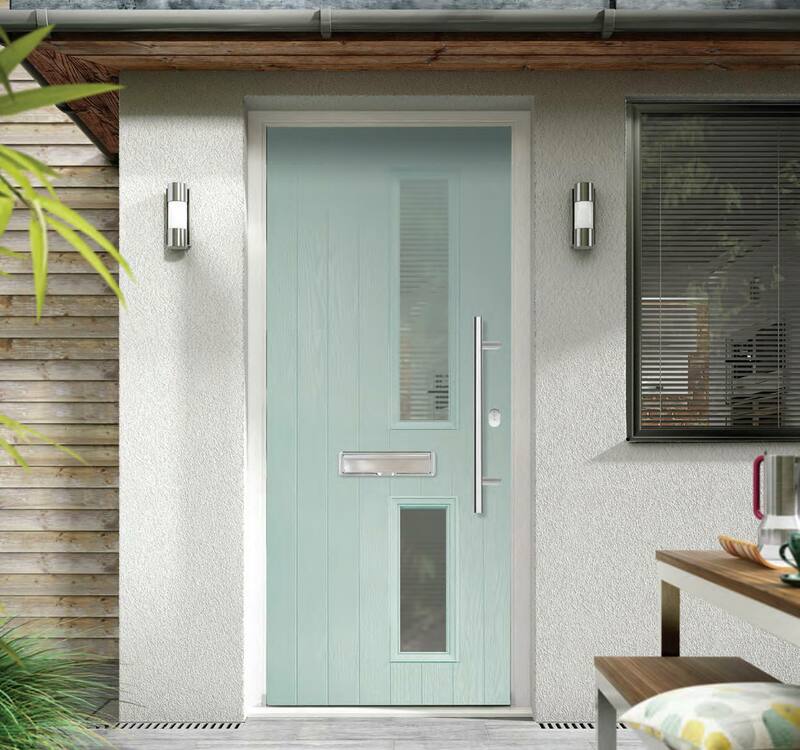 Tailor your front door to complement your existing colour scheme or add a glazed solution with minimalist appeal. Adding a top quality door from Arkay Windows will ensure that your home is thermally insulated, protected from water ingress and able to last the test of time. As well as all of this, your chosen door design will be made with premium grade materials and add kerb appeal and a touch of elegance. 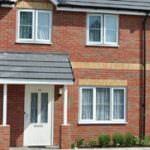 You can contact us today for a free quote for your front door today. Whether you’re looking for an entrance door to be implemented into a residential or commercial project, we can assist. Simply visit our contact page and fill out our online contact form. A member of our expert team will be able to answer any questions you may have. We are happy to recommend or advise on the most suitable products for your needs and requirements. Are your entrance doors durable and long-lasting? Our entrance doors are extremely durable and are able to withstand even the most adverse of weather conditions. You will be sure that your property is kept warm and dry all year round. The finishes on our entrance doors are high quality and therefore long-lasting even after frequent or heavy use. Are there personalisation options for your entrance doors? We have a large range of entrance doors with your choice of colour, style, shape and design. As well as this, you can create a unique solution that is bespoke to your home with an array of finishes and hardware accessories for the perfect end result. Are your entrance doors secure? Our entrance doors feature a multipoint locking mechanism by Yale which is renowned for its safety and security. This is inbuilt into our entrance doors as standard so that you can enjoy complete peace of mind about the protection of your property.